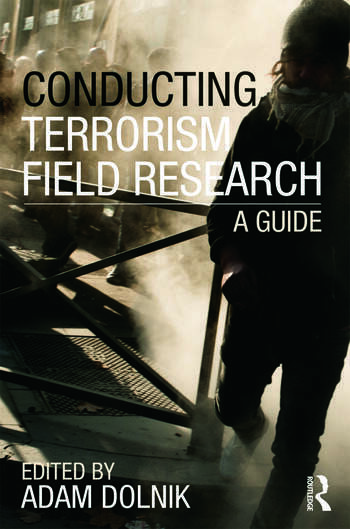 This book offers a detailed and practically oriented guide to the challenges of conducting terrorist fieldwork. The past decade has seen an explosion of research into terrorism. However, field research on terrorism has traditionally been surrounded by many myths, and has been called anything from "necessary" and "crucial" to "dangerous", "unethical" and "impossible". While there is an increasing interest among terrorism specialists in conducting such research, there is no single volume providing prospective field researchers with a guideline to such work. Conducting Terrorism Field Research aims to fill this gap and offers a collection of articles from experienced authors representing different risk groups, disciplines, methodological approaches, regional specializations, and other context-specific aspects. Each contributor provides a road-map to their own research, describing planning and preparation phases, the formalities involved in getting into conflict zones and gaining access to sources. The end product is a 'how to' guide to field research on terrorism, which will be of much value to terrorism experts and novices alike. This book will be of much interest to students and researchers of terrorism studies, war and conflict studies, criminology, IR and security studies. Adam Dolnik is Professor of Counterterrorism at the George C. Marshall Center for European Security Studies in Germany, and Professor of Terrorism Studies at the University of Wollongong in Australia. He is the author of Understanding Terrorist Innovation: Technologies, Tactics, and Global Trends (Routledge, 2007) and Negotiating Hostage Crises with the New Terrorists (2008), as well as over 50 reports and articles on terrorism-related issues.